Do you love pastry and delicious cake? 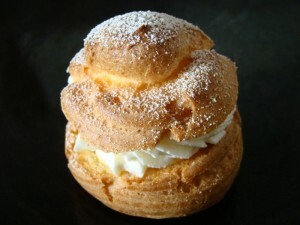 Making cream puffs that look like the one above is not difficult… if you know how to do it right. I am a pastry chef in a little restaurant and a pastry teacher. I love to help my friends making delicious cake. Check out the video below where I show you how to make puff shells. For example, did you notice in the video that I added all the flour at once. This is really important because flour quickly soaks up liquid and if you try to add more flour later, you will get an ugly clumpy dough… not good. I will add more details, soon. 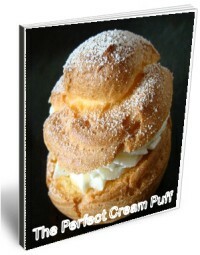 For the time being, make sure you read my free ebook “The Perfect Cream Puff”. It includes some more tips and tricks and lots of pictures. I hope you like it! Hope to see you here again, soon. The dough must be super fluffy! That makes it easier to roll and - more important - it just tastes so much better. The biggest point you should pay attention to when preparing the dough is that you have to mix the dough until there are no air bubbles left. It may take up to ten minutes or longer. 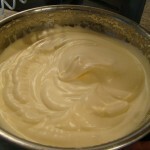 The perfect dough looks like a smooth cream. That’s the consistency you need to make a perfectly fluffy Swiss roll. 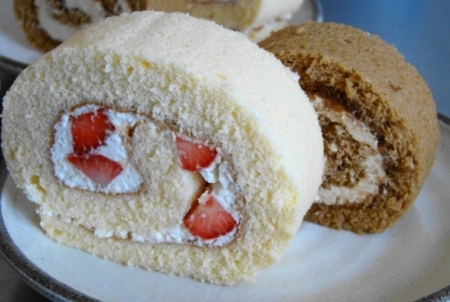 Here’s a video that shows me making a Swiss roll. 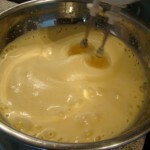 The mixing-the-dough section shows different “stages” of making the dough. Another point you should pay attention to is to not overbake the dough in the oven. We don’t want a crunchy or dry dough - would make it very difficult to roll. If you want to get the full recipe and a step-by-step e-book with lots of photos about making the Swiss roll, please feel free to join my mailing list below. You will get the cream puff e-book immediately and I’ll also send out the Swiss Roll e-book to all my members, soon. Yes, it’s free. You are currently browsing the Proscar generic blog archives for May, 2009.